Hazak Weematz This Book of the Torah shall not depart from your mouth; rather you should contemplate it day and night in order that you observe to do according to all that is written in it; for then you will make your way successful, and then you will act wisely. Behold, I have commanded you, ‘Be strong and courageous,’ do not fear and do not lose resolve, for Hashem your G-d is with you wherever you will go (Yehoshua 1:8-9).This is a copy of Yehoshua Goldstein’s website hazak weematz Dealing with Guarding your eyes, modesty, Happiness, Marriage, Family, Zohar and more. The posts have been ordered by topic. Many great Tzaddikim have been saying that the flood is about to come (we are on the verge of what the prophets call the War of Gog and Magog which is meant to precede the final redemption)… No better time than now to start learning the Holy Zohar. The Zohar is the Tevat Noach for the final generation. Those who study the Zohar will be saved from all kinds of suffering and will also merit to cleanse and purify their souls. experience the final redemption with mercy. Do not listen to the Rabbanei Erev Rav who tell you not to learn Zohar. They are simply trying to prevent the redemption. They will soon be erased from the world as it says in many places in the Zohar and Tikkunei Zohar. (Tikkun 30 and 43 says that those who do not encourage the study of the sodot of the Torah and say that there is only pshat are better off not having been born, for they are returning the world to chaos. They are also causing all the poverty, death, destruction, illnesses and war. Because of the lack of this study our tefillot and Shema Yisrael is not heard by Hashem. The revelation of Mashiach is dependent on this study and if the Sodot of Torah (Zohar) are not studied, then the Moshiach is delayed in coming). Also, those who study the Zohar will be drawn towards holiness and all holy service and distanced from all the falsehood in the world. Rebbe Shimon foresaw the great darkness that the world would fall into before the final redemption, therefore he wrote his book, the Zohar (The LIGHT – in English) to bring us spiritual healing and to save us from all the darkness and confusion at the End of Days. Rebbe Shimon has the power to save the whole world from din (severe judgement), but only if we rely on him and read his sefer, the Holy Zohar. Below is a link to Zohar in English. May we all be worthy to begin a daily study of the Zohar and may we merit to experience the final redemption with mercy. Please learn for the refuah of my father Mordechai ben Sara, among all others who need a refuah in Am Yisrael. These are lectures by The Rebbe from Holmin and Rav Amnon Yitzchak explaining clearly beyond any doubt how all the Meat and Chicken being fed to us – even the ones with the “best” Hechsherim are all Treifot and Neveilot (not kosher). over 6 different ways. The experienced Schochet told me, “Don’t worry about the knife. The back of the neck causes no defect. look at my own knife.” I never understood how they weren’t ashamed to show me such defective knives! tell it to me… This was a long time after I stopped being a Schochet and where I once worked as a Schochers helper for 6-8 weeks. One time I didn.t feel well, and I sent the Schochet R’……. to substitute for me. The supervising Schochet R’……. saw the Schochet slaughtering in back of the neck and asked him to stay on and work there instead of me. He would receive $60 a day and only have to work two days a week. This particular Schochet stayed on and a week later told me that he had my job. I asked him how he could do this and showed him the Halacha regarding crossing boundaries’. Then he presented this to the Supervisor, the Supervisor in return said, ‘With me there is no such thing as crossing boundaries. I hire and fire who I please, and I prefer those that accomplish the most’ (slaughter the most animals per hour). And with that I resigned from this Schita. him why he waited so long if he thought something was wrong – why didn’t he show it to the more experienced there…… However, inspite of all this, that entire Schita still remained kosher! Woe to us, look to where we have gotten?! This flyer is part of a series on modesty that has been widely distributed all over Israel. Many of them include quotes of some of our greatest Gedolim and Tzaddikim on the subject of modesty. 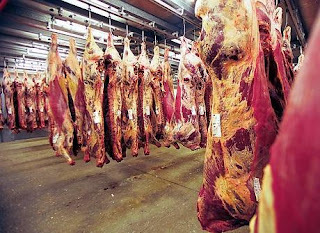 Find out how we are being fed Non-Kosher meat in the entire USA under our very noses, just as had occured in the city of Crakow 300 years ago. In his writings he explains why it is almost impossible to find Kosher meat nowadays. Please take these words very seriously, I know the Rav personally and he is one of the few true leaders left in our generation who are not afraid to speak the truth. You can get his over 1000 sefarim written on all areas of the Torah as well as many letters he has received from many of the Gedolei Yisrael of today and of the past at his website http://www.ha-zohar.info/. Please pass this on as well as the attached books to whomever you can. You can also get them printed out and distribute them. May the merit of the many stand for you and may all who assist in this holy work be blessed with health, happiness and ritcheous children, amen. sanctify ourselves, and by laxity in this field, we, G-d forbid, defile our souls. eventually he will stumble upon serious transgressions. punished forever and loses his portion in the world to come. 1 – Why are you writing this book? corrected by now so basically we should have nothing to worry about. All the problems have been already fixed. All the Great Rabbonim are careful to check all the details. How can it be that everybody is eating Nevelot and terefot? growing more severe with the passing of time. Shechita from which you eat doesn’t have any problems. and tens of thousands of fowl are slaughtered in a single place. carefulness and hence Kashrut compliance. anyone who dares speak about the problems of the Shechita. Dear Jews: Don’t let yourselves be fooled!!! the lives of their loved ones. New signs have just been put up all over Jerusalem with the opinion of both the leading Sefardi and Ashkenazi Rabbis on the subject of modesty – specifically the length of womens skirts. To make a long story short, they both say that the absolute minimum length of a skirt should be at least halfway down between the knee and the ankle. It is absolutely forbidden to wear a skirt that is shorter than this length. They also forbid the wearing of tight and stretchy skirts. We have to realize that we are at the end folks. When the leading Rabbis of the generation have to put up signs telling women that their skirts have to go lower than the knee and shouldn’t be tight and stretchy you know we have pretty much hit the bottom. You should know that it has already been said by our Tzaddikim of past generations that there would be terrible immodesty right before the Moshiach comes, and judging by the scene out on the streets, it really can’t be that much longer. See http://hazakweematz.blogspot.co.il/2012/03/whats-cooking-in-pot.html and http://hazakweematz.blogspot.co.il/2012/05/wwiii-war-on-holiness.html for what the Baal Shem Tov and The Chafetz Chaim predicted would be right before the end. And for all you guys out there who are trying so hard to survive and hold on to some degree of holiness in this incredibly unholy world, know that the only way to survive is by guarding the eyes. If you don’t see it, then you cannot desire it. I know it’s not easy but remember the words of Shlomo Hamelech, “The Tzaddik falls seven times and gets back up.” And Rebbe Nachman of Breslov teaches us to never despair and never give up, and that even if we have fallen to the lowest places, we can still at any and every moment call out to and find Hashem. Here is a game I made up to help me when I have to go out on the street, it’s called “Don’t Get Shot.” Enjoy. Have you ever played the game called “Don’t get Shot?”Here’s how it works. Before going out into the street, say a small prayer asking Hashem to help you guard your eyes, so that you should not see any improper images that will filthy up and destroy your mind and heart. Then once you step outside, the game begins. You are walking through heavily guarded enemy territory where there are soldiers and snipers out to get you at every corner. You have to accomplish your mission of… (here you can insert whatever it is you need to do, go to yeshiva, go shopping, drop off the kids, etc.). Now the rules are, if you don’t see the enemy, then the enemy cannot see you. But if you do look up and see the enemy, then you get shot. If it’s a quick look then it is just a flesh wound, but if it is a long look with desire, you just got shot and it’s game over. Bonus level: Perfume is really poison gas that the enemy puts out to trap you. If you quickly exhale it out and cover your nose you will probably live, but if you inhale it and enjoy the smell… that’s right, you just got shot! The best part of this game is that it is just like any other game; as soon as it ends, you can just start over. Do not despair, just hit the reset button, say your prayer, restate your mission, and you are back in the game. The score is kept by how long you can go without getting shot. 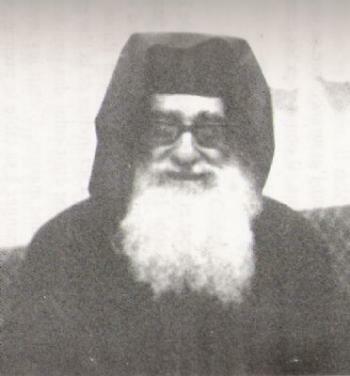 I once read a story that the Baba Meir zt”l said to his attendant, that he has not seen a woman in over 40 years; he was 47 years old when he said this. I challenge anyone to try to beat that score. The custom of wearing wigs in public was established and spread amongst Jewish women about 170 years ago. This was during the time of many harsh decrees against the Jews in Europe and on the heels of the growth and spreading of the “Maskilim” (enlightened) who were after the total destruction of our religious observance. They even succeeded in uprooting the law of head covering completely, so that even in the houses of G-d fearing and upright Jews in Lithuania the wives were going with their hair completely uncovered. And now let us scream out about this breach of modesty happening now in our generation due to our many sins. For many years now the daughters of Israel have broken the boundaries of modesty and have gone with their heads uncovered. And all that we have cried out regarding this matter has not helped or benefitted. And now this parasite has spread so that even married women are going with their hair revealed just like unmarried girls. Woe to us that this has happened in our days. Also known are the words of the Gaon Rav Shlomo Kluger of blessed memory in the sefer “Bishnot Chayim”(siman 316), That in his days there was a royal decree in Russia that forbade all the married women from covering their hair. Therefore, in order to minimize the violation of modesty by them going with their hair completely uncovered, the Rabbis at that time permitted them to wear wigs which was the lesser of the two evils. Similarly it is recorded in the sefer “Ben Ish Chai” (Year 1, Parashat Bo #12), The women in the European countries are accustomed to go always with their hair uncovered. And in opposition to this gloomy condition that many women had completely abandoned the mitzvah of covering their hair, the Chafetz Chaim wrote an entire sefer entitled “Geder Olam” in order to challenge and try to regain control of this terrible breach in modesty. Therefore, in order to get them to comply with hair covering at all, we were forced to permit them the wearing of wigs so that they would not be going with their hair uncovered outright. And after the decrees were cancelled, the custom of wearing wigs remained since they had grown used to it. This matter continued and worsened over time until the whole reason why the despicable and evil custom of wig wearing was permitted in the first place became completely forgotten to them, until nowadays, women who wear wigs in public think that they are acting in accordance with the strictest levels of the law of hair covering. Woe to us, look to where we have fallen! Therefore it is a holy obligation for every Rav and teacher in Israel in whose congregation this parasite of wig wearing has spread, to learn the sugya in its entirety and to rebuke the congregation with gentleness that there is really no permissibility under Jewish law to go out with a wig looking like the women who roam the streets at night. We must remove this plague from our houses and this evil from our midst, and return the crown to its former glory to be crowned with modesty. Women should go with a cloth head covering only as this is how our mothers used to look; and this is also in accordance with the halachic rulings of our Rabbis. May Hashem help us in this matter pertaining to the honor of His Name, and may we succeed in fencing in this breach speedily and in our days amen. May all who bring merit to the many be blessed with health, happiness and righteous children. To our sorrow, the matters of tzniut (modesty) in our days needs a lot of strengthening. And behold a great and terrible tragedy has now begun in the matters of tzniut; the wearing of short and tight skirts and tops, that even one who wants to avoid these types of clothing cannot easily find a store that offers any other alternatives. And what a terrible disgrace it is for a man who is charedi to have to walk around with his wife who is wearing short and tight – incredibly immodest clothing. And to our great sorrow, many are stumbling in this matter today. And on this our Rabbis of blessed memory have said, worse is one who causes a person to sin – than one who kills, and especially worse is one who causes the many to sin (as is the case when a woman goes out in immodest clothing – YG). And as a result we are now witnessing terrible tragedies in Am Yisrael, both national tragedies and personal tragedies, and all this is a result of the departing of the Shechina (Divine Presence) from our midst, as the Shechina is not found in a place where there is innapropriate exposure or lewdness. And how can we sit silently and not protest and try to put a stop to this terrible breach. Therefore it is incumbent upon all of us to search for modest clothing and only shop in a place which carries appropriate clothing. THE LENGTH OF THE SKIRT MUST COME DOWN TO AT LEAST HALFWAY BETWEEN THE KNEE AND THE ANKLE, AND IT IS ABSOLUTELY FORBIDDEN TO GO WITH A SKIRT THAT IS NOT AT LEAST THIS LENGTH. Anyone who is in a position should assist in this matter, that there should be an increase of clothing stores which sell appropriate and modest clothing, and try to influence the current shop owners to sell only modest clothing and stop causing a stumbling for the many. Anyone who is able to assist this cause in any way (printing out and distributing or emailing this message counts too – YG) and specifically in regards to the store owners, will have the great merit of the mitzva of modesty to protect him or her and all that is theirs. One who is cautious and one who cautions others will have abundant peace like a flowing river. BS”DThe separation between holiness and unholiness is getting clearer and clearer for all to see. It is getting easier and easier to spot the Erev Rav and their evil desires for money and honor while at the same time trying to destroy any holiness amongst Am Yisrael. Baruch Hashem, at the same time, there are many who are waking up and fighting back with increased holiness and cleansing of any impurities.The world is set for war and things are crashing all around. Those who are awake know this clearly and those who are asleep are still sleeping.They have succeeded tremendously in getting most of us to become human Zombies as the article linked below will illustrate…We wanted a generation afraid of silence; suspicious of contemplation. We succeeded there too. Rebbe Nachman teaches us that the main thing in these times of Moshiach is emuna, and the main way to get emuna is by talking to G-d. Asking Him to help us and guide us, this is the best way out, because as the article below will explain, even those of us who think we are ‘awake’ are really just asleep in another level of their evil programming. Only finding Hashem is being awake. As for internet and emails, it is all a waste of time and just another way for them to attack our holiness and put us to sleep. We must remove this evil thing from our midst. Those who are already awake need to just work on saving themselves with real tefilla and teshuva. Kedusha is our main protection from what’s to come. With holiness, Hashem will be in our midst protecting us and fighting all of our battles. Get rid of anything that contains even the tiniest bit of unholiness in it, clothing, books, gadgets, internet, etc. Modesty and shmirat einayim will help sensitize us to holiness and will help us in filtering out all the falsehood and impurity. Also, be carefuil what information you allow into your head, for as Rebbe Natan writes, the mind of a person is the main person. We must pray to be worthy of finding true G-d fearing teachers to help guide us on this final road. Beware of the wig wearing immodest dressing women, they are a trap set to ensnare you. Remember that your retirement home after this world is nothing more that a wood box, and your body will be nothing more than food for the maggots and worms. Start working toward the eternal end which awaits your soul. Read the article below and then do yourselves a big favor by throwing the computer and television and i-phone in the garbage. If you are still waiting for things to get better in chutz laaretz, I have news for you, things will never get better out there. You are fighting a loosing battle, give it up and get over here right away, it may soon be too late to get out. The Shechina is fast on its way out of there and there is hardly anything left to hold on to before it all sinks down. It’s all an illusion out there soon to fade away. I am not saying my own words, I have heard this from several Tzaddikim here in Eretz Yisrael, and if you have a few minutes between your Television programming, text messaging and facebooking, you might want to pick it up and read it in the Tanach for yourself. If you want a real study program, read some Tanach, then Rebbe Nachmans stories and then some Zohar everyday. 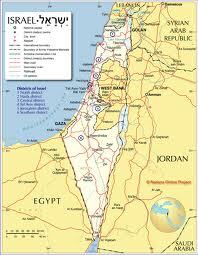 Best of luck and hope to be dancing soon at the Third Temple, may it be soon, Amen. There have been many signs put up all over the Mea Shearim area of Jerusalem expressing the calls from many of the Gedolei Yisrael for more modesty. The first one which is signed by Rav Elyashiv and Rav Vosner reads as follows:To our great sorrow, matters of modesty on which the resting of the Shechina (Divine Presence) and the holiness of Am Yisrael are dependent on have fallen greatly. Specifically in the areas of shortening the length of the clothing which is a precursor to immoral and forbidden relations. Have any of you been paying attention to what’s going on??? The motive for making the journey to Eretz Yisrael should be purely spiritual: To draw closer to G-d. A person who goes there with this as his aim will surely benefit. Merely by stepping foot on the Land, he will become merged with it and transformed by its sacred character. That is why, “One who walks four cubits in Eretz Yisrael will assuredly inherit the World to Come (Ketuvot).” On the other hand, if a person’s motive has nothing to do with devotion to G-d and cleansing himself of his evil, than what help will the Land be to him? The Land will vomit him out “as it vomited out the nation that was before you (Leviticus 18:28)” (Likkutei Moharan 29). I recently read an article which makes a prediction based on what the Zohar says regarding a certain formation of stars as a key time of the redemption process. Here is a link to the article for you to take a look at, also read down a few of the comments where a lot more is explained. If you are skeptical, I actually just got off the phone with the Admor of Holmin, Rav Shalom Yehuda Gross, where I specifically verified some of the things the article mentioned. Here is a summary of our conversation. When I asked the Rav about the 60 day period beginning with the certain star formation, he replied, “Yes, yes, it’s all written in the Zohar.” he then went on to tell me that Rav Kaduri zt”l had said that this year (5772) on Tisha B’Av was going to be the revelation of the Mashiach. He then began telling me that there is a very strong battle that he is involved in right now against the Erev Rav, and he said that they are getting set to make a huge amount of trouble for us right now. He said it will not be a simple situation, but he is heavily waging war with them right now. So there you have it, I strongly suggest reading the above article including the comments (specifically the ones by Dov Bar-Leib) and you will understand much better what is to be going on in this next short period of time. If you can get to Israel, that would be a very wise move, and if not, make sure you are praying to Hashem and reading a bit of Zohar everyday. I also foud this article below explaining a possible False Flag biological terror attack that may be in the works for the USA. May we be worthy of receiving the Torah in holiness and purity and soon be worthy of welcoming the Mashiach, amen. Rashi explains: “In every place we passed we found them burying their dead!” However, the truth was that the Holy One, Blessed be He, did this for their good, to involve them (the inhabitants of Canaan) in mourning to distract them from paying attention to the spies. When the ten spies went out to spy the land, the souls of the ten corresponding tribes (the actual sons of Yaakov) came into them. This is the secret of what Yosef meant when he told his brothers, “You are spies (Beresheet 42:9),” to allude that in the future their souls would enter into the spies. 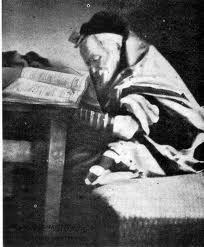 Rebbe Shimon is fitting to rely upon for any situation. He promises that his book (The Zohar) will bring the redemption with mercy and has the ability to cancell any and all harsh decrees that may be upon Am Yisrael (G-d forbid). Sponsor the reading of the entire Zohar Hakadosh for a yartzeit, parnassa, shidduch, refuah, teshuva, or for the merit of all of Am Yisrael. 18000 shekels or $5000 (100% of your donation will go directly to the person who will be reading the Zohar on your behalf, payments can be made over one year). Email hazakweematz@gmail.com or cal 02-992-3264 for more details. Rebbe Shimon bar Yochai Says – I Can Save The Whole World From Judgement! Rebbe Shimon is fitting to be relied upon in a time of great need and with his sefer (The Zohar) we will be redeemed from this exile with mercy, amen. It is clear from the above two quotes that the main war we will face in the end of days will be against the forces of Impurity, and that that the side of Impurity will be attacking with very mighty and powerful attacks against those few who are fighting to stay strong and connected to G-d. We only need to look outside in the street to see that the battle is well under way, and almost all the fences of holiness, purity and modesty have been destroyed. The desire of niuf (immoral sexual desire) is the all inclusive evil, in which all of the evil of all of the 70 Nations are included in. For each Nation has a hold in its own specific type of evil, that is, some specific bad trait or evil desire that is unique to that Nation. However, the desire for niuf is the all inclusive evil, and in it is gathered and included each and every single evil from each and every single Nation. It contains all the bad of all the desires, and in it burns all the bad of all the desires as one large inferno. 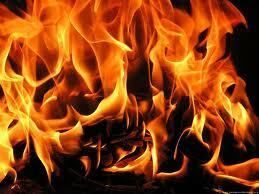 This inferno is what burns inside of a person when he feels the desire for niuf. However Hashem has separated us from all of the Nations, and He has exalted us above all of the tongues (languages). 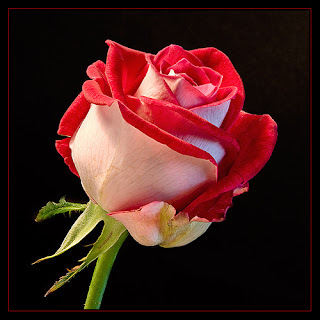 Therefore, we must separate ourselves from all of their evil, that is, from all of their desires which have no connection to us whatsoever, specifically from the desire of niuf which is the all inclusive evil of all the Nations as mentioned above. For this is the main difference and distinguishing between us and the Nations, that we separate ourselves from niuf, for this is the main holiness of Yisrael. For it is within a persons’ power to remove his thoughts from this desire and destroy it completely; and this is our main holiness. May Hashem give us all the strength to merit walking on the Path of Holiness, amen. When you get to Heaven after your time in this world is up, they will not ask you why you had a Yetezer Hara for all of your different taavot (desires) and bad middot. What they will ask you is why did you just sit back and do nothing about it? You see, you did not make your Yetzer Hara, Hashem did, and He is the one who gave it to you. So in fact having a Yetzer Hara is not really any different than having arms and legs, it is just a spiritual part of you that Hashem created you with. Not only that, but the Gemara even tells us that it is stronger than us and that there is no way to overcome it unless Hashem Himself assists us. So therefore, our real job in dealing with our various evil lusts, desires and bad middot is to actually beg and plead with Hashem to help us get rid of them. 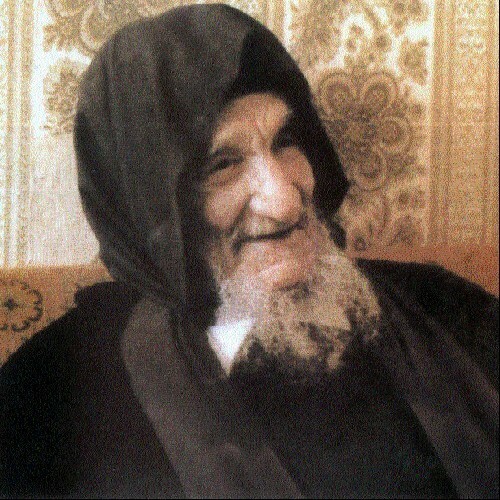 There is absolutely no reason to get down and depressed because you think you are a horrible and disgusting sinner, or because you are full of evil thoughts all day long. You are not that way by chance, Hashem is the one who made you that way with precisely all those evil thoughts and desires. In His infinite wisdon, He knows precisely what corrections our souls need to make, and He knows exactly the situaton we need to be in in order for us to get to that soul correction. Just like a good coach knows how to push his athlete to the limits in exactly the areas where he needs the most growth and training. So now we can all just relax and give ourselves a big hug, ahh, dosen’t that feel nice. We are all wonderful people and Hashem loves us all very much, so we need to love ourselves too. Rebbe Nachman teaches us that there is no despair in the world at all, and that our main avodah (spiritual work) is to make every effort to remain happy. With what we have explained above, we have now begun phase one of our soul corrections which starts with accepting ourselves, loving ourselves and knowing the true story behind our Yetzer Hara. Now on to phase two, getting rid of the Yetzer Hara. As we said above, the only way to do this is with Hashem’s help. And the only way to get Hashem’s help is to ask Him for it. (It is taught elsewhere that one can only pray properly once they see the good in themselves and bring themselves to happiness, that is why it is so important to feel good and happy and not sad and depressed before we move on and discuss part two which is praying for Hashem’s help – see Likkutei Moharan lesson 282 for more). Rav Arush has mentioned many times that a person needs to take one subject at a time (for many months or even years) and spend 30 minutes a day talking to Hashem about it. He suggests that all men start with the desire for niuf (sexual desire). Women I believe he mentioned should begin with modesty. One can also spend a few minutes on other things like anger, smoking, overeating, gambling, etc. but one has to be very consistent on just one thing for 30 minutes a day first. The Rav explained that in these 30 minutes one needs to be real with who they really are and the desires that they really have, talk to Hashem openly like He is your best friend or therapist. Remember, you do not have to feel bad or guilty for what you desire or what you have done, it is Hashem who made you like this in the first place. What you really need to do is express your will to Hashem to not have these desires anymore, etc. Ask Him to help you overcome and get rid of them. Talk it out with Him, explain to Him how these desires are destroying your life and preventing you from succeeding in so many different ways, etc. This is the real work and effort we need to make in the war with our Yetzer Hara. After 30 minutes of heartfelt prayer one can relax and know that they did their part. Now they no longer have to worry or feel guilty about anything, and when they ask you in Heaven why you did such and such? You can answer, “Well what do you want from me, I confessed all my sins, prayed and begged Hashem for help every single day for 30 minutes just like my Rav told me to!” This is the true way to ultimate success against the Yetzer Hara and it is really the path to get you to the ultimate goal of all which is making a relationship with your Creator. It is precisely what you think is bad which will ultimately be the source of the greatest good in your life in both this world and the next. May we all merit. 2- If you find that you are unable to pray or express yourself properly to Hashem, do not despair, I heard once that Rav Berland said it took him thousands of hours of silence before he learned how to pray properly. You can also make your inability to pray into a prayer and tell Hashem that you would so much love to express to Him all of your troubles and feelings like… but you just can’t find the words to do it. Ask him for help in opening up your heart. And remember that every effort we make is extremely precious in the eyes of Hashem and not a single word or even sigh or groan is lost. Also, try out Likkutei Tefillot #92, it has some real golden words in it to reinforce some of these above ideas. It’s hard to imagine an America where the fundamental laws of the land have been stripped away. Those founding principles that, for the better part of two centuries, made America the last bastion of true freedom in the world, so much so that millions of tired, poor, and huddled masses yearned to breathe free on our soil. These God-given rights, inherent to all men – the right to speak our minds no matter the unpopularity of our message, the right to carry a gun for personal protection, the right to be secure in our persons and possessions, and the right to be presumed innocenct and not robbed of life or liberty without fair trial – are and have been under assault for decades. In his latest interview with the SGT Report, forecaster Gerald Celente of the Trends Research Institute warns of the multi-pronged attack on our liberty and suggests we are well on our way to living in a country not dissimilar to that of Hitler’s Third Reich. While the signs are all around us and as clear as day to those paying attention, a large portion of our population, like that of Germany in the 1930′s, simply doesn’t understand what’s happening, or they bury their heads in the sand so as to avoid ruffling the feathers of the all powerful and entrenched American Police State. And that’s what’s going on in this country. It’s like the frog in boiling water. How much more do people need to have? Any sensible person who takes the time to review the evidence must conclude that we are no longer living in a Constitutional Republic. We are, by all accounts, living in a modern day Police State influenced by corporate agendas, the almighty dollar, and the desire for power and control. It’s happening right before our eyes – just as it has happened so many times throughout history. The people aren’t ready yet. They’re not ready physically, emotionally, spiritually, philosophically – and that’s all it really comes down to. Because when you are at those levels you don’t take other people’s crap, and you don’t give it. It is tragic but true for the majority of our citizenry. Acceptance, it has been said, is necessary for change to take place. But most people refuse to accept that America has been fundamentally changed for the worse by Presidents and Congresses past and present. They are not ready to accept that their freedoms have been slowly but surely abdicated. They ignore the fact that the police state is tracking and monitoring everything they do. They are in denial about the existence of facilities where they will be herded if a national emergency is declared and that a government control grid has been put into place to handle what they know is coming. They’re not willing to accept that they are no longer individuals, but rather, property of their government and those special interests who control it, and that their land, resources and very lives can be seized by Presidential decree. If history is any guide it tells us that humanity never seems to change (or accept what is happening) until we are at the very precipice of disaster – and then it’s often times too late. Celente opines:Here’s the scenario – the crash of ’29, the Great Depression, currency wars, trade wars, World War II. The panic of ’08, the Great Recession/Depression, we have currency wars going on now, trade wars next. There’s no saving the financial system. You saw the employment numbers that came out last week – they were twice as bad as what they had projected on Wall Street. You’re seeing what’s going on in Europe – the Spanish are again calling for more austerity measures because they can’t get out of the mess. So, there’s no way out. The only way out for psychopaths is war.…Everything they touch they turn to crap. Every government. …that’s their M.O., and it looks like we’re going into a new one. While we want to believe that the will of the people can stop it, we hold a pessimistic view that anything will change before this man-made disaster comes to pass. Copyright Information: Copyright SHTFplan and Mac Slavo. This content may be freely reproduced in full or in part in digital form with full attribution to the author and a link to http://www.shtfplan.com/. Please contact us for permission to reproduce this content in other media formats. The Malbim concurs, and provides the following analogy to explain his opinion: The situation is like that of a father and son traveling a long distance. As they start out, the son begins to ask when they will arrive, and of course the father does not answer. However, as they near the town, the son asks the same question, and this time the father readily answers that it is only a short while before they reach their destination. So too it is with us: now that the time is clearly approaching, we cannot help but notice and interpret the signs all around us that tell of the impending geulah … As the time of the keitz grows nearer, the doubts will become smaller, and at the keitz, all doubts will be removed … As the time grows closer, the uncertainty recedes in the wake of the increasingly “abounding wisdom” (Introduction to Daniel). The Maggid of Dubno used a similar analogy as well. The night enters and the new day begins. Hashem in His mercy is ready to bestow upon us another day with all its new blessings and wonders. However, in order to receive the light of this new day, we first have to go through the darkness of the night. We learn from this verse that according to Jewish tradition, the day begins after the setting of the sun and not in the morning at the sunrise. What is the significance of the day beginning at night? We can learn from this a very simple yet profound lesson. Often times in life we find ourselves stuck in the darkness feeling hopeless and seeing no way out of our difficult and challenging situations. Know that this is exactly the darkness that precedes the light. Remember what we learned from the story of the Megilla, that no matter how bad or hopeless things may seem, they can all turn around in the blink of an eye. Keep this thought with you at all times and remember that Hashem has never and will never abandon you. Just be patient and await His salvation and never give up hope or stop praying. May we all have the strength to hold on in the darkness and merit seeing the light of our redemption soon, Amen. It is known to all that the sefer HaZohar of the G-dly Tanna Rebbe Shimon Bar Yochai, may his merit protect us, breaks through thousands and tens of thousands of worlds, passes through the Serafim, Ofanim, Chashmalim and Chayot Hakodesh, all the way up to the Holy One Blessed Be He, Who delights with it, builds new worlds with it and has mercy on our world because of it. The learning of the Zohar is exalted above any other study, even if one does not understand a word he is saying. The simple reading of the Zohar alone builds new upper worlds. When this sefer of the Zohar is revealed to the world in the final generation, the Jews will be redeemed from their exile. The brilliant ones (those who learn the Zohar) will shine like the radiance of the Heavens and with this book of yours, the sefer HaZohar, they will not need to experience any difficulties. (That is to say, they will not have to endure the birth pains of the Mashiach) And in the future, when Yisrael will taste from the Tree of Life, which is this sefer HaZohar, they will be redeemed from their exile with mercy. Behold, the learning of Zohar arouses mercy and the spirit of the Mashiach, and it reveals and builds the Beit Hamikdash and allows Israel to dwell securely, and one who studies it will certainly not suffer any of the birth pains of the Mashiach. Therefore, we the rabbis and chachamim of the holy city of Jerusalem as well as it’s Battei Dinim have aroused ourselves to establish learning of the Zohar both in Israel and in Chutz LaAretz in order to complete 1000 siyumim of the Zohar. We all know the dangerous situation that we are currently in (both physically and spiritually), and no one knows what each new day will bring. Who is not afraid of a nuclear bomb from Iran? Moshe Rabbenu, Eliyahu Hanavi and Rebbe Shimon Bar Yochai may peace be upon them, have all said that with the sefer HaZohar we will be redeemed from our exile with mercy. 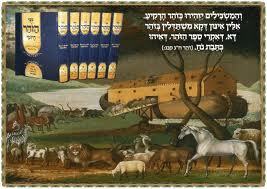 Only those who read the Zohar will enter into the ‘Noach’s Ark’ of our generation which is the Holy Zohar. “In the future, when Am Yisrael will merit to taste from the Tree of Life which is this book of the Zohar, they will be redeemed from their exile with mercy” (Zohar parashat Nasso). Therefore, the best advice to sweeten the birth pains before the coming of the Moshiach is to read the holy Zohar. It is fitting to be read by men, women and children and it has the ability to purify the body and soul as well as cancel any harsh decrees that may be upon Am Yisrael even if one does not understand a word they are reading. Rebbe Shimon is fitting to be relied upon in a time of great need. What’s Cooking in The Pot? Once at his Shabbat table, the Choze of Lublin was sitting with his eyes closed for a long time. His guests anxiously watched as he was groaning and grunting with great intensity. Then the Rebbe opened his eyes and this is what he said. The holy Baal Shem Tov’s soul was once elevated to the upper worlds. When he came back down this is what he told those sitting around him, “Know, that I saw in the Heavens a group of angels building a very large and wide pot. I then asked one of the angels, ‘What is this great big pot that you are building?’ The angel then lifted me up over the ledge of the pot and asked me to tell him what I saw inside. When I looked in, I saw that the pot was full of arms and legs. Then the angel said to me, ‘Know, that close to the time of the coming of the Mashiach, there will reincarnate into the world souls from the generation of the Tower of Bavel (people who do not believe in G-d and rebel against G-d) as well as souls from the generation of the Flood of Noach (people who have great immodesty, women who go with their arms and legs revealed). It is for them that I am building this great big pot through which to take them down into Gehenom. 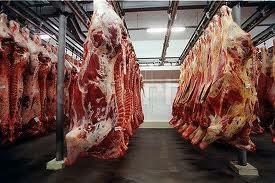 Specifically it is also to be used for cooking those arms and legs of theirs that they immodestly revealed. BS”DThose who were dancing were considered crazy in the eyes of those who could not hear the music.If the eye does not see it, than the heart can not desire it. We all want happiness, but as long as we are busy chasing after physical desires and pleasures, we will never be able to get what we want. The eye is never satisfied with what it sees. We all know that there is no lasting satisfaction when it comes to physical desires. A gambler never feels satisfied with his wins, he always wants more. A woman never feels satisfied after a day of shopping, there is always another store to visit or a new season of fashion to come. So then how do we get happiness and satisfaction that lasts? The answer is, we need to change our way of looking at things – literally. That is, we need to stop looking at things. The more we look at things in this physical world, the more we will desire them, and the less happy we will be. If we close our physical eyes, than we will understand and develop a way to see things with our spiritual eyes – this is the start of true happiness. Have you ever tried to read braille? I have, I cant even notice a difference to the touch. So how is it that a blind person can read a whole book just by running his finger over those dots? The answer is, since one of his senses has been removed, the others get stronger and more sensitive. In the same way, if we weaken and lessen our intake of the physical world, than we will automatically increase our sensitivity and perception of the spiritual world. Chazal tell us that most of the desire for the physical world comes in through our eyes. Therefore, if we guard what our physical eyes see, then we will allow room for the development of our spiritual eyes. This will lead to happiness and holiness. The end of the evil and falsehood in the world is coming soon. We all know that there is a war coming and we all can feel that something big is getting ready to happen. Our prophets and holy books tell us that holiness is the most precious asset to have when the final showdown happens. The survivors will walk on the path of holiness says the prophet Yeshaya (Isaiah). The secret is out, you do not need to store gold or food to make it through to the end, you need holiness. There is no faking holiness, those who try to fake it are in for a big surprise. Only prayer and a genuine effort to remove all the impurities and falsehood from yourselves will work. With that being said, there is one more thing we all can do to help give us the will and desire for holiness, and that is to read the Zohar. The Chafetz Chaim would always encourage the study of Zohar and he said that without the study of the secrets of the Torah, it is as if we are groping around in the dark. He would also learn the Zohar on the parasha every single Shabbat and he would tell others to do the same, even unmarried men (Meir Einei Yisrael, vol 3 pg 556). The Chazon Ish said that there is no greater mussar sefer than the Zohar (Ma’ase Ish, vol 3 pg 98). “In the future, when Am Yisrael will merit to taste from the Tree of Life which is this book of the Zohar, they will be redeemed from their exile in mercy” (Zohar parashat Nasso). Therefore, the best advice to sweeten the birth pains before the coming of the Moshiach is to read the holy Zohar. It is fitting to be read by men, women and children and it has the ability to purify the body and soul as well as cancel any harsh decrees that may be upon Am Yisrael even if one does not understand a word they are reading.Rebbe Shimon is fitting to be relied upon in a time of great need. 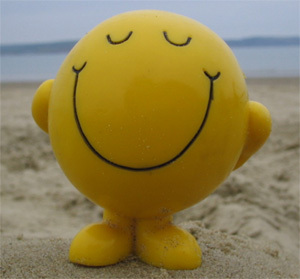 “It is a great mitzvah to always be happy,” but have you ever wondered some of the reasons why? In Likkutei Moharan II:24, Rebbe Nachman teaches us that all the sicknesses that come upon a person, only come because of a lack of happiness. The lesson goes on to explain that there are ten different types of melody which are all an aspect of happiness. All these ten melodies are found within the ten different pulses in the body, which give life to the melodies through their pulsating. Now when there is a breakdown of happiness which is the life force behind these ten pulses, then the sickness comes as a result of the weakening of the pulses. For all the different illnesses are included within these ten pulses; and similarly, all the different melodies are included in these ten melodies. Therefore, according to the breakdown of the happiness and the melody, so will be the sickness that comes. All the medical experts have explained this subject at length; that all illnesses come as a result of sadness and depression, and that happiness is a great healing and cure. The Rebbe adds that in the future, happiness will increase very much, and through happiness, all the sicknesses will be cured. We see from this lesson some of the great benefits of happiness, now we just have to learn how to always be happy. It appears to me with Hashems help, that the Rebbe is hinting to us a secret to being happy when he says that ‘in the future’ happiness will increase very much. What is it about the future which will allow happiness to increase very much? Two things come to mind when the future is mentioned; one, is what we say in the Aleinu prayer to end each of our three daily prayers which comes from the prophet Zecharia 14:9, “Hashem will be the king over all the land; on that day Hashem will be One and His Name will be One.” The commentators explain that this is referring to the Day of Judgment that will take place in Messianic times, when there will be no more idolatry and falsehood in the world. On a deeper level it is also referring to the new level of consciousness that we will attain at that time in which both Hashem (G-d’s aspect of mercy) and His Name – Elokim (G-d’s aspect of judgment) will be one. That is, we will gain a clear understanding in future times that everything is from Hashem and all that happens to us is really His loving kindness (this is also hinted to in the numerical value of the word echad (one) which is 13 and ahava (love) which is also 13). With this explanation of what will be in ‘the future’, we now have a tool to help us maintain a state of constant and increased happiness. If we know that everything we encounter in life, whether good or seemingly bad is really all Hashems’ loving kindness, then we can certainly be happy all the time. The second thing that comes to mind when one mentions the future is Olam Haba, The World to Come. Now what exactly is true about The World to Come which can help us achieve this state of happiness. For this we can look in the Likkutei Moharan, at the beginning of lesson 4, “When a person knows that all that happens to him is for his good, this is an aspect of The World to Come.” Well there you have it; the Rebbe describes The World to Come with knowing that all that happens to a person is for his good. So now if we put these two ‘future’ examples together, we can say that the real secret to happiness which is also the cure for all illnesses is the knowledge that everything is from Hashem and everything is for our good. The best way to express this is by thanking Hashem for everything in life, both good and bad with the knowledge that even if you can’t understand why this is happening, it is still from Hashem and it is therefore good for you. Eventually the words will penetrate into your heart, and G-d willing you will merit seeing the true hidden good which is in everything that is happening to you. This also goes well with what the prophet Yeshayahu (Isaiah) says, that in the future when Moshiach comes, there will be no death or sickness anymore. It makes sense that when we all gain the knowledge of the future, then we will all be happy, as it says in Tehillim, “Then our mouths will be filled with laughter”, and this will be the end to all sickness and death in the world. May we merit to make ‘the future’ now; and may Hashem bless us all with true happiness and a complete healing both physically and mentally for all of Am Yisrael, amen. 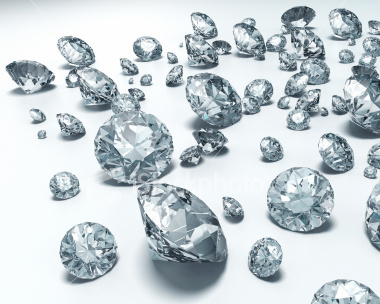 There was a very poor man who was told that somewhere on a far off island there existed a city of diamonds. Seeing that he had no other choice, he packed up a few of his belongings, said goodbye to his wife and kids and set off on the journey. The poor man was in shock and didn’t know what to do. The manager of the restaurant had him wash dishes to work off his bill. He worked hard and was offered a permanent job as a dishwasher which he accepted. It was not long before he moved up to becoming a waiter and because of his hard work and diligence, he eventually became the assistant manager. At this point he was earning a good amount of potatoes every month and he was feeling very good about his turn in fortune. Soon the old manager confided in the poor man that he wanted to retire and leave the restaurant over in his hands. The poor man gladly accepted and continued to grow more and more successful until he owned many other restaurants and businesses and he soon became the wealthiest man on the island. Before our soul enters into this world, we are very clear on our mission: To gather as many diamonds (Torah and Mitzvot) as possible. When we get here however, we are constantly mislead and persuaded by the world into believing that the real currency is dollars or shekels or gold or whatever other toys and gadgets they make us desire. The great and holy Tzaddik and Mekubal, Rabbi Yehuda Leib Ashlag of blessed memory foresaw the coming of World War II 20 years in advance. He was then only in his 30’s, and he began an effort to alert all the leading Rabbis and Roshei Yeshivot in Poland of the impending decree. He warned them that there was a very severe decree already signed in the Heavens against the Jewish people, and that a huge portion of the Jewish people were going to be erased from the world, G-d forbid. He told them that just like the Ramchal (Rabbi Moshe Chaim Luzzatto zt”l) had averted terrible decrees in his time by setting up all day long Zohar learning, so too the same had to be done in order to avert this terrible decree that was on the horizon. He called for every Rav and Rosh Yeshiva in Poland to begin telling their congregations to start learning the Holy Zohar, however, they did not pay attention to his words. As we know, soon after this World War II began, and 6-7 million Jews were eventually killed. As the war was being fought, there was a fear that it would spread to the Holy Land and that the evil Hitler, may his name be erased, would also succeed in anihilating all the Jews living there. Rav Ashlag was then busily involved in translating the Zohar into Lashon Hakodesh (Hebrew) so that every Jew would be able to learn and understand it. He believed firmly in the promise of Rebbe Shimon bar Yochai, that with this book of the Zohar, we will be redeemed from our exile. He said that on the same day that the first volume was printed (of his translation and commentary to the Zohar known as ‘The Sulam’), that wicked man had a big downfall and the war was on it’s way to being over. This prevented him from succeeding in reaching the Holy Land. Dear Rabbis and Roshei Yeshivot, we are now calling out to you! We are begging you to arouse yourselves and your communities to begin learning the Holy Zohar. You are the leaders of Am Yisrael, and the responsibility of the nation rests upon you. We have started a new plan to try and complete 1000 siyumim of the Holy Zohar every single Rosh Chodesh (The first one to be held on Rosh Chodesh Adar, G-d willing). Anyone who would like to register and take part in this effort should email thelightofthezohar@gmail.com to sign up. We have now printed the entire Zohar in 70 pocket sized volumes, so that 70 people can each take one of the volumes and with only about 4 minutes of reading a day, complete along with thousands of others, the entire Zohar Hakadosh. It is well known, that when a sefer is broken up into smaller parts and learned in a group (such as is done with Tehillim, Mishna, and Shas) each member actually receives the reward as if he had learned the entire thing. Here in this instance, since we have a goal to reach 1000 siyumim, each member will receive the reward of 70,000 siyumim of the Zohar (since each siyum will require 70 participants). With a few short minutes a day, one can gain unfathomable reward and with G-d’s help, we will succeed in preventing all the terrible decrees, wars, and other tragedies that are looming on the Jewish people. May we merit the fulfillment of the promise of Rebbe Shimon, that with my sefer, the Holy Zohar, we will be redeemed from this exile with mercy. Note: The Admor, Rav Shalom Yehuda Gross and Rav Benayahu Shmueli have both said that the Zohar can and should be read by men, women and children. To get one of the 70 volumes mailed out to you, please send your name, adress, and phone number to thelightofthezohar@gmail.com each booklet costs $5 or if you would like to get the entire 70 volume set for yourself or to start your own chain of 70 people, it will cost $120 (plus shipping). Email me for more details on how to send in your payment. This edition comes with a Lashon Hakodesh (Hebrew) translation running alongside the Aramaic, and one can also read the Zohar only in the Lashon Hakodesh if they prefer. Rebbe Natan writes: I heard a further discussion on the lesson appearing in Likkutei Moharan 172 on the verse, “The whole world is filled with His glory (Isaiah 6:3),” from one of my companions. The main thing is to nullify every one of your negative personality traits. You must strive to do so until you have totally obliterated your ego, rendering it into absolute nothingness before G-d. Begin with one trait and annihilate it completely. Then work on your other traits, one at a time, until they are totally nonexistent. As you annihilate all the negative parts of your own personality, G-d’s glory will begin to shine through you and be revealed. 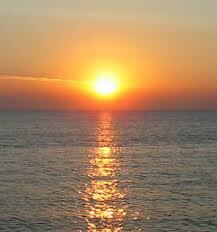 It is written in Ezekiel 43:2, “And the Earth was alight with His glory.” G-d’s glory is like light. The larger an object, the greater it’s shadow. A thin rod casts a very small shadow, while a more substantial object casts a larger shadow. A great building will cast an even larger shadow. As more light is obstructed, a greater shadow is cast. The same is true of G-d’s glory. The material obstructs the spiritual and casts a shadow. The denser the object, the deeper a shadow it will cast. When you are bound to a negative emotion or desire, it obstructs G-d’s glory and casts a shadow. G-d’s light is then hidden from you. But as you nullify these emotions and desires, you also remove this shadow. And as the shadow departs, the light of G-d’s glory is revealed. When a person is worthy of annihilating the shadow completely and making it into absolute nothingness, then G-d’s glory is revealed to all the earth. There is no obstructing shadow, and the light can shine through in all of its’ glory. It is written, “The whole earth is filled with His glory.” ‘Filled’ is melo, which can also be read milo – from nothing. “From nothing is all the earth His glory.” When there is nothing – nothing casting a shadow and obstructing His light – then His glory is revealed in all the earth. Now I think we can get back to our explanation of modesty. The real idea of being modest in front of Hashem lies in making yourself bitul nullified in front of Hashem. Then we can fulfil our mission and the true purpose of creation which is to reveal G-d to the whole world. With that being said, let us now apply this new understanding to clothing and how we dress. If we are wearing our clothes in order to reveal, accentuate, draw attention to and display our bodies, than we are doing the exact opposite of what is necessary to allow G-d’s glory to shine through us. Instead of revealing Hashem through our dress, in this case we are using our clothing to in fact cast a bigger shadow which actually blocks out Hashem’s light. It should also be clear to us now, that this concept applies equally to men and women. It is not anymore a question of how long or short your skirt is, how tight and stretchy it is, or how long and flowing that wig you are wearing is for women, and similarly for men, how tight and fitted your suit is, how pointy and shiny your shoes are, etc. Now we can look at modesty with a whole different approach; and that is, am I putting on my clothing to draw attention to myself, which takes away the attention from Hashem, or am I using my clothing to cover and conceal my body which will allow Hashem’s glory to fully shine through me. This should be the real question we ask ourselves every morning when we stand in front of the mirror and get dressed. May we all merit being a fitting vessel to allow G-d’s light to shine through us, and may we be worthy of seeing the fulfilment of the prophecy that the whole world will be filled with G-d’s glory, Amen. Therefore, all the questions and doubts we have about Hashem, are brought about because of a concealment of the emett (truth). For from the emett is drawn out the ways of Hashem, and these ways are beyond our understanding and comprehension. Like the example of the righteous person who suffers and the wicked person who prospers. All this (the fact that Hashem’s ways are hidden from and beyond our understanding) is done for the sake of our having free choice. This is what is meant by, “Elokim spoke,” the aspect of strict judgement, “And He said to him (Moshe), I am Hashem,” the aspect of mercy. That is, Hashem was making it known to Moshe that Hashem is Elokim, judgement is really mercy; both are really one. The aspect of mercy and the aspect of judgement are both one in the most truthful way, it is just that we do not have the ability to fully understand this, for the essence of Hashem’s ways are beyond our understanding, just like His existence itself is beyond our understanding. And this is what is meant by, “I appeared to Avraham, Yitzchak and Yaakov as E-l Sha-ddai, and My Name Hashem, I did not make known to them.” This is because the main revelation of G-dliness in the world came through the Avot (Avraham, Yitzchak and Yaakov) and it would be impossible to reveal it all in one solid dose. Truth has to be revealed level by level in this world in order to maintain an aspect of free choice. The ultimate truth of Hashem’s Oneness, that Hashem (mercy) and Elokim (judgement) is one, will only be fully revealed with the coming of the Moshiach. May Hashem bless us all to go in the ways of emuna, praise and thanksgiving, and may we all soon experience the full and final redemption of our people, Amen. 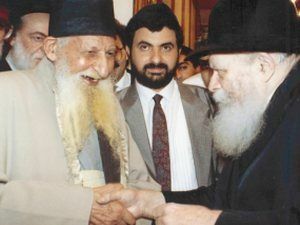 This story was told by Rav Yosef Mugravi shlit”a, who was very close to Rav Elazar Abuhatzera zt”l. Once when I was waiting to enter into the room and speak with Rav Elazar Abuhatzera zt”l, I began speaking with a yeshiva student who was waiting in the line ahead of me to speak with the Rav. As we were talking, he told me of the reason he had come. He had a question to ask the Rav regarding the mikvah. His situation was as follows, each morning he awoke an hour before prayers and he had two options in front of him, either to sit and learn Gemara before prayers, or to go to the mikvah in which case he would have to forgo the extra Gemara learning each morning. He then asked me what I thought the Rav would answer him, so I said that certainly it would seem to me that the Rav would tell you to learn Torah since we know that there is nothing greater than learning Torah. I then asked him to please come back and tell me what the Rav indeed answered him on his way out. Immersing in the mikvah is the cure for all troubles. The mikvah has the power to purify us from every kind of sin and impurity. 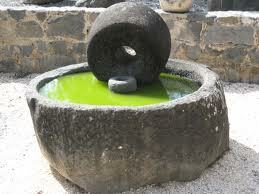 The spiritual power of the mikvah is rooted in the most exalted levels of wisdom and love (Likkutei Etzot, Mikvah #1). We are now going to learn an insight on the expression, “to sit and do nothing is preferable.” A parent who realizes that they are in a situation where they cannot educate their child without harming the child (i.e. shouting, verbally abusing, hitting, etc. ), should take the role of sitting back and doing nothing. Because chinuch which comes without love and feeling is like poison to the child’s soul; and it is not child education. Being quiet and hiding from your child’s inappropriate actions will do a lot less harm, even no harm at all most of the time, than will giving your child improper and harsh reprimand. The latter will certainly weaken and damage the child’s soul and inner life force. In fact, if a parent occasionally decides not to intervene and reprove the child at the time of his misdeed, this will imbue the child with a great feeling of value and worth for the parent who was able to overlook the bad action for the sake of the child’s honour. Then the child will himself awaken from his bad actions without you having to even say one word. Now even if this does not happen, you will still gain because of the fact that you did not take a hit at the child’s soul. This will allow your child to remain with his happiness in life and self confidence, and most of the time, a happy and self confident child will grow up to learn good behaviours and attributes. A person who is spiritually healthy, in most cases will follow the good path in life. However, one who is spiritually ill will need miracles in order to heal his soul from the damage done to him by improper parenting and educating. The main goal therefore is to raise a happy and spiritually healthy child. This can only be done with lots of love, understanding and warmth. This is what will give your child the best chances for success in life. Fake it ’till you make it! Yosef’s preceding of B’nei Yisrael down to Mitzrayim, was Hashem preparing the cure before the blow. Yosef descended to Mitzrayim as a slave which is an aspect of bitterness and sadness, which is an aspect of slavery. 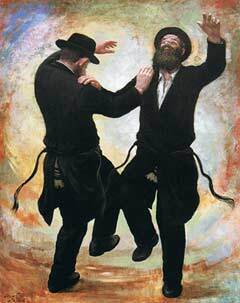 He then withstood his test and strengthened himself even there (in Mitzrayim) with happiness, as the verse says, “And Yosef was a man of success.” The Midrash tells us that this means that he was constantly singing and dancing. For in the bitterness of the exile when the bitterness strengthens itself very much, this is the primary advice, to do silly and fun things (like singing and dancing) in order to cheer up your soul during the bitterness. Just like it is written with regards to King David that he changed his appearance (behavior) before Avimelech, for at that time he was in great danger and in a great exile, so in order to save himself he began to act crazy and he let his spit drip down on his beard, etc. Therefore our main existence in Mitzrayim and our eventual departure from there was all because of “Yosef who was in Mitzrayim,” therefore, Hashem sent Yosef Hatzadik down there first. 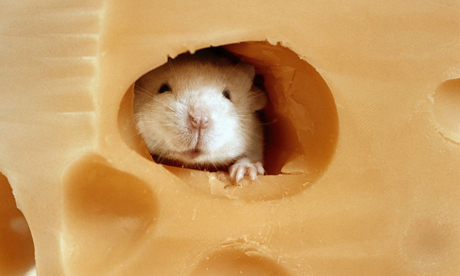 Why aren’t you eating the cheese? All the while, Rebbe Nachman was sitting and quietly listening. The Rebbe then spoke up and said, “Rebbe Naftali, eat the cheese.” Rebbe Naftali, having perfect faith in his Rebbe immediately blessed and ate his fill of cheese. Only a few short minutes later, he began a very severe stretch of coughing. At this point, Rebbe Nachman spoke up again and said, “This cough is a whole different type of cough.” After that, the coughing began to subside and eventually stopped. Then Rebbe Nachman concluded and said, “Until now, I thought that Rebbe Naftali was going to leave this world before me, but now I know that he will survive me.” Rebbe Naftali in fact went on to live to the ripe old age of 85 years old… all because he ate the cheese! No matter what problems you may have, do not turn to bachyanut with questions and complaints against Hashem. For example, “Hashem, why are you doing this to me… This is not fair… Why must I suffer… etc.” Rather, you should use your power of prayer to strengthen your emuna and bring about positive changes and miracles in your life. Instead of complaining, try saying, “Thank You Hashem.” Even if you don’t feel it, the words will eventually penetrate into your heart. Then begin asking Hashem to have mercy on you, to have mercy on your children. Tell Him how much you want to build a Jewish home with lots of Torah and Tefilla in the home. Ask Hashem to have mercy on your husband and to help him be zoche to learn Torah, pray with kavana and guard his eyes. Ask Hashem to have mercy and send blessings to his work so that he can make a living and support his family and so that you can be worthy of giving large amounts of money to charity and having many guests in your home. Ask for help to be able to give your kids a healthy spiritual and physical upbringing. That they should be zoche to find good friends, learn good middot, and eat good and nourishing food, etc. Rav Arush explains; what does it mean that women took nine measures of speech (and only one measure was given to men)? It means that women have a tremendous power of prayer, they can sit and pray and say Tehillim all day long, from morning until night. In fact this is really what our grandmothers and great grandmothers used to do. They would always be reading Tehillim and talking and praying to G-d about everything all day long. They didn’t care about anything else in life, because they knew that the secret to all the blessings and successes of their family was in their prayers. It’s also good to go to kivrei Tzaddikim if possible and also to light many candles in the house that in the merit of the Tzaddikim, your prayers should be heard. Precious mother and wife, you should know that you possess the greatest power that exists in the world. As it says in Tehillim, “Hashem is close to all who call upon Him, to all who call upon Him in truth” Have you ever called upon Hashem in truth and not found Him to be there? Rebbe Natan whose yartzeit is this week, 10th of Tevet, said that he merited getting close to Rebbe Nachman only because of the tefillot of his mother. Every day during her pregnancy, his mother would go and cry and pray at the grave of the Baal Shem Tov, begging Hashem and pleading with Him that her child would grow up to be a Tzaddik. Then, even after he was born, she would take him in a basket, put him on the kever and continue to cry and pray for him. This is the power of a Jewish woman’s prayers, may we all merit much nachat from our family and be zoche to see all of our tefillot answered, amen. Have you ever played the game called “Don’t get Shot?”Here’s how it works. Before going out into the street, say a small prayer asking Hashem to help you guard your eyes, so that you should not see any improper images that will filthy up and destroy your mind and heart. Then once you step outside, the game begins. You are walking through heavily guarded enemy territory where there are soldiers and snipers out to get you at every corner. You have to accomplish your mission of… (here you can insert whatever it is you need to do, go to yeshiva, go shopping, drop off the kids, etc.). Now the rules are, if you don’t see the enemy, then the enemy cannot see you. But if you do look up and see the enemy, then you get shot. If it’s a quick look then it is just a flesh wound, but if it is a long look with desire, you just got shot and it’s game over.Bonus level: Perfume is really poison gas that the enemy puts out to trap you. If you quickly exhale it out and cover your nose you will probably live, but if you inhale it and enjoy the smell… that’s right, you just got shot! Rav Yitzchak Kaduri zt”l was given a blessing at his bar mitzvah by the Ben Ish Chai that he would merit wearing the same coat he had on at his bar mitzvah a hundred years later. It is famously known that he in fact lived to 113 years old and he would still wear the same coat that he had on at his bar mitzvah… 100 years later. See the power of the words spoken by Tzaddikim. Rashi comments on this verse that Yosef saw that his brothers were frightened (after he revealed himself to them), so he brought them closer and showed them that he was circumcised. Why did Yosef call his brothers closer to him, were they not already standing close? Rather, when he told them that he was Yosef, they became shocked and bewildered because they saw that he possessed the upper Malchut (rulership). Yosef then said to them, I achieved this level of Malchut because of this… he then told them to come closer and he showed them his brit milah. He said it was this that caused me to get to this level of Malchut, because I guarded my brit. From here we learn that one who guards his brit will ultimately receive Malchut. 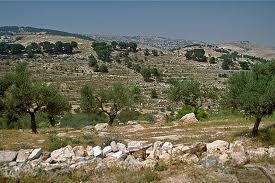 From where do we know this, from Boaz, who instructed Ruth to sleep in his bed until the morning (Ruth 3:13). He overcame his desire and swore an oath to her and by passing this test in which he guarded his brit, he merited to have rulers come from his seed, including the Melech Mashiach who is called in the name of Hashem. Rav Shalom Arush mentioned in several past shiurim that the only way to achieve personal holiness is by guarding the eyes. The eyes are the seed of all of our desires, as our Rabbis teach us, “The eyes see, ther heart desires, and the body carries out the deed.” So therefore, one must begin by praying to Hashem every single day to be worthy of guarding his eyes. The Rav also mentioned that it is not only to avoid sin and improper desires that we guard our eyes; but it is also the only way to see Hashem in this world and how He is constantly communicating with us and trying to draw us closer. This world is actually created to conceal Hashem, therefore, if we look at it, we will certainly get confused and misled. Only by closing our eyes to the physical world, do we merit true vision which is the ability to see Hashem. This is the hidden light that has been stored away for the Tzaddikim. And who is called a Tzaddik? One who guards his eyes and brit. May we all be worthy to experience the light of holiness and may our eyes merit to see the coming of Moshiach and the Third Temple speedily and in our days, amen. Now how does one get the light of the Torah? This can only be gotten through happiness. If a person is not happy; not happy in doing the mitzvot, not happy when he is learning Torah, then no matter what he is doing, it will not help him; he will still be trapped in the darkness. I was thinking, what is meant by the idea that the Greeks tried to get us to forget the Torah? Is it really possible to forget Torah? What it means is that they tried to bring darkness and sadness into our lives which would take away our happiness. This is what is meant by getting us to forget the Torah. They wanted us to stop being happy, because once a person is not happy he is able to get confused and flip the truth completely. A person who performs the mitzvot without simcha doesn’t need the Greeks to get him to forget the Torah; he will leave it on his own. 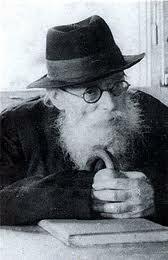 Any person who falls away from Judaism is only because they never experienced the joy and sweetness to be found in it. One who tasted this sweetness would never leave such a thing, not for any riches or pleasures in this whole world, for this is the only true sweetness in the world. The only reason we see children leaving religion is because they never saw their parents happy with the religion. This is why I want to make the point of the necessity of singing. Some people feel that singing and dancing is called bitul Torah (wasting time from Torah learning), well those people don’t even know what Torah is to begin with! In fact, the only reason why King Chizkiyahu was not crowned as the Mashiach was because he failed to sing. This happiness of the Torah and Mitzvot is precisely the light to be found in Hannukah. The sages of that time understood very well that this was the main cause of Jews becoming drawn after the Greek culture. Since they did not really know how to experience the true happiness in Judaism, then it was very easy for them to desire the foreign Greek culture. And how does one discover the happiness to be found in Judaism? This is only possible when he learns how to go with gratitude and praise to Hashem. Let us now explain this concept of how to be grateful to Hashem, for this is not simply good advice, this is actually what all of your Judaism and connection to Hashem depends on. A person who does not feel this gratefulness to Hashem really needs to stop himself and try to understand why? What is going on here, why am I not able to feel gratitude to Hashem for making me a Jew? I thought to myself, there is no coincidence why every year around Hannukah time, we read the parasha dealing with Yosef Hatzadik. Understanding the story of Yosef Hatzadik is the key to us learning how to be happy with all the challenges we are going through and will even teach us how to be thankful and grateful to Hashem for them all. Having this attitude is what will bring us to true happiness, which is the only way to experience the light of Hannukah. It is also the only way to avoid all the pitfalls and dangers of this world and prevent ourselves from being drawn after foreign cultures and ideologies. 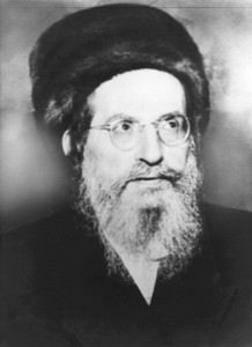 Yosef Hatzadik was faced with a great test of his emuna (faith). 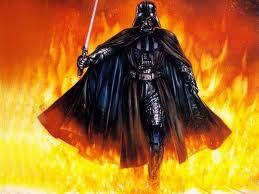 His brothers desired to murder him, and then he was sold as a slave and completely cut off from his family. He was taken down to Egypt where he was immersed in a very impure and immoral society where he had no connection at all to Judaism. Then he was put through an extreme test of morality and temptation with the wife of his master, and when he overcame and ran away from the sin, he was still falsely accused and thrown into prison for 12 years. All this could have easily given him a reason to give up on Judaism; he certainly had all the excuses he needed to make a claim against G-d. However the Midrash testifies that he spent the entire time in prison doing nothing but singing and dancing and praising Hashem with happiness. A person must go with this type of faith; that he accepts that Hashem is fully in charge and that he (the person) knows nothing at all. If Hashem wants me to go through this challenge, fine. If He wants me now to serve Him under these circumstances, Fine. I ask no questions on G-d, I just feel happy and privileged to be able to serve Hashem; it makes no difference to me how He wants me to serve Him. If this is what Hashem wants from me right now, fine, I ask no questions on Him, I don’t understand anything and I don’t know anything. Rebbe Nachman writes in the Likkutei Moharan lesson 4, that if a person knows that everything that happens to him (both the good and the bad) is from Hashem, than this is an aspect of the World to Come. You would think that the Rebbe should have written that if everything goes well for that person, then it is an aspect of the World to Come, but no, the Rebbe is teaching us that we need to know that all that happens to us is from Hashem and for our good (in the World to Come we will have this awareness with full clarity). Now if something bad happens to you, you are supposed to look for the message in it and search for what it is that you need to correct, but this does not mean that you are not supposed to be happy. A person no matter what circumstance he finds himself in must still serve Hashem happily. Even if the suffering is a result of a sin I did, I must still search for how to correct it with happiness. 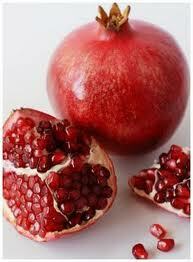 (Teshuva is a mitzvah from the Torah, a person is obligated to be happy when performing the mitzvot. We can even thank Hashem and be happy with the punishment or suffering because it is only there to bring to our attention something that we need to correct. Then, once we make teshuva, the sin turns into a merit, because it now became the catalyst which got you to make teshuva and gain even more closeness to Hashem – YG) Without this understanding, it is impossible for a person to be happy and to go in the ways of gratitude and praise to Hashem. We must remember that this life is not a kiddie camp, there are definitely difficulties and challenges along the way. We need to know that all the light of the Torah is only to be discovered through happiness and gratitude to Hashem. Without this attitude, we will have no way of receiving the light. How can it be that a person would choose the temporal pleasures of this world instead of the holy Torah? This is only the result of a person not understanding how to serve Hashem with happiness. In the future we are told that all the holidays will be cancelled except for Hannukah. That is, in the future, gratitude and praise of Hashem will still be present. This light of Hannukah is very necessary for us to make it through the darkness of this exile. Without it, there is no way for us to make it through this world. Everyone has to light the Hannukiah in his home, that is, he must bring this light of Torah which is happiness and gratitude to Hashem into his home. To this the Rabbis established these eight days of Hannukah as days of gratitude and praise (lehodot ulehallel). This is the only way to prevent the Greek (foreign) ideologies from entering into our homes. There is no greater joy in this world than the happiness of learning Torah and performing the mitzvot, this is the light of Hannukah. One who wants his home to be protected needs to bring this light into his home. Both the Be’er Heitev and Mishna Berura explain as follows. A person should be aware that he is in the constant presence of The Creator, for the Holy One blessed be He fills the entire creation. A person should picture the letters Yod (and) Heh (and) Vav (and) Heh in front of his eyes with the same vowelization as the word yirah (fear). This is the real meaning of “I place Hashem before me always”, and this practice has a great benefit in helping one gain fear of Hashem (fear of sin). The source given for this is in the writings of the Ari Z”L. I was once learning this halacha in kollel and a gentleman sitting next to me who overheard this, shared an incredible story with me. He said that he had a secular nephew who after completing his duty in the Israeli army went off to India to experiment with meditation and spirituality. He found a group that was about to begin some sort of meditation and he joined in with them. They all sat in a circle and were given instructions of what to meditate on. This young man felt guilty about thinking of such unholy things and instead, an image of the name of Hashem popped into his head (he had grown up seeing a framed picture of a menorah in his house with the name of Hashem written on the top of it, so it was easy for him to picture it in his mind). A few minutes into the meditation, the group leader walked over to him and threw him out of the circle. Being determined to experience some spirituality, he went and found another meditation group. 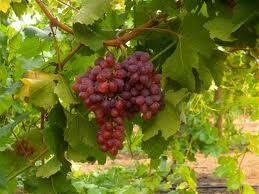 Again he was instructed on what to meditate on, and again he began to picture the name of Hashem. A few minutes later, the same thing happened and he was removed from the group again. He realized that this was not a coincidence, and he immediately returned to Eretz Yisrael and checked himself into a yeshiva where he began learnig Torah and eventually went on to become religious. Try looking at it for a few minutes, and see if you are able to picture the four letters in your head with your eyes closed. It could take some practice, but it comes with many benefits. As a young child, the Rebbe (Rebbe Nachman) wanted to literally fulfill the verse, “I have set G-d before me constantly (Psalms 16:8).” He continually tried to depict G-d’s ineffable Name before his eyes, even while studying with his tutor. His thoughts were so occupied that he often did not know his lessons, making his teacher very angry. Despite this, the Rebbe acted like a normal child his age, playing, jumping and taking walks. But he was also very constant in the above practice. Earlier this week I was very privileged to be present at a meeting between the Admor of Holmin – Rav Shalom Yehuda Gross and Rav Shalom Arush at the house of Rav Arush.I will now do my best to recall what was happened at that meeting. Rav Arush was very happy to greet Rav Gross and he kissed his hand when he entered. Then Rav Gross kissed Rav Arush’s hand and they sat down at the table. Rav Gross started to explain about his operation (Mifal Zohar Haolami) which is involved in printing and distributing Zohar Hakadosh all over Israel and the world. He said that only in the merit of studying the Zohar Hakadosh will we be redeemed from this exile in mercy as Rebbe Shimon promised us in the Zohar. He also said that the study of Zohar is able to cancell any harsh decrees upon the Jews. Rav Arush agreed about the importance of the study of Zohar. Then Rav Gross went on to say that the situation in the world is not very good at all right now, and we need Zohar study to help give us more merits. Rav Arush added that he had also heard a few times from his Rav, Rav Yehuda Zeev Leibovich zt”l that the situation in the world was very dangerous now. Then Rav Gross handed Rav Arush many of his Zohar sefarim and publications and Rav Arush was very happy to receive them. He picked one set of sefarim up “Zohar Shabbat” and he was admiring its beauty for a long time (no doubt he was getting pleasure from the burst of spiritual light in those Zohars). It is very important for every single person to read the Zohar Hakadosh. We have a promise from Rebbe Nachman of Breslov that through the study of the Zohar, we will be redeemed with mercy from this exile.Rav Gross was very happy to hear this and even told Rav Arush that he would send more of the Zohars and other sefarim so that they could put them and learn them in the yeshiva. They then got up and walked out of the Rav’s house side by side. A few days later, I brought Rav Arush a six volume set of the Zohar Hakadosh which is broken up to be read in the course of one year. 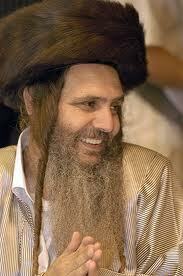 The Rav was very impressed with it’s beauity and he said that the Admor (Rav Gross) gives him such happiness. Then he said that he was going to begin that very day on the one year cycle of reading the Zohar. May the promise of Rebbe Shimon and Rebbe Nachman be fulfilled and may we merit a merciful redemption in the merit of the study of Zohar Hakadosh, Amen.I wanted to clarify a point that people often get confused, there is a big difference between the reading of Zohar and the study of Kabbala. Although the Zohar is the primary Kabbala text, when one reads it, one is in no danger of what is called delving too deep into the study of Kabbala. Although it is true that only fitting people should learn the Kabbala from fitting teachers, the study or reading of Zohar is quite the opposite. the words itself are able to spiritually arouse a person and have the ability to purify the soul even if one has no idea what he is reading and even if he is making many mistakes, it gives great pleasure to Hashem. Reading of Zohar is something that is fitting for men, women and even young children (heard from Rav Gross, and Rav Benayahu Shmueli, Rosh Yeshiva of Nahar Shalom and a close student of Rav Kaduri Z”L). For more info on the study of Zohar, you can go to http://www.thezoharinenglish.com/. Not only that, but it also is able to cancell any harsh decrees upon Am Yisrael, G-d forbid, and there is a promise by Rebbe Shimon Bar Yochai himself that with the study of this book (the Zohar) we will be redeemed from the exile with mercy, Amen. DIn Chapter 3 and 4, the Prophet Isaiah tells us what to expect in the End of Days.He lets us know who will be worthy of being around to see it and who will have to be sifted out before the Moshiach will arrive. righteous women’s gallery in the Heavenly Beit Hamikdash. There are more than 20 poskim who say that this is completely forbidden, it is absolutely forbidden to go out of the house into the public streets wearing a peah nochrit (wig). It is just as if you are going out with a completely uncovered head. Just like it is forbidden for a married woman to go out with her hair uncovered, it is equally forbidden for a married woman to go out with a wig on. There was a great gaon, Rebbe Pinchas Horovitz, a world sized giant, Rebbe Pinchus Leibush Horovitz, he took his beit din with him and they took a Sefer Torah with them and they pronounced a cherem (a decree of excommunication) on any woman who would wear a peah nochrit (wig). Who can violate a cherem of a man as great as this?! He was a giant, a giant in Torah… To violate his cherem… Who would violate such a persons’ cherem? This is in addition to the fact that there were many Gaonim who have written explicitly that wigs are forbidden. Any Rav who is lenient regarding wigs will face judgement for it in the future! The Gaon of Vilna writes in his sefer on the Mishnayot explicitly that wigs are forbidden. The Gaon Yaabetz writes extensively in his sefer ‘Mor Uktziah’ and in his sefer ‘Tshuvot Yaabetz’ very explicitly that wigs are absolutely forbidden! To my great sorrow, I have heard of many good girls who would prefer to wear a cloth head covering, and the boys, those learning in the Yeshivot are making conditions not to date them unless they commit to only wearing a wig after marriage. 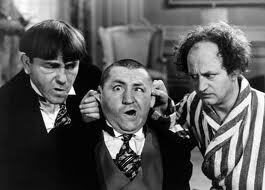 What Yeshiva students are these? These are ignoramuses, fools, wicked people! They are defaming the name of Hashem. People who ask for things like this learn in a yeshiva?! What Torah are they learning? They will have to face judgement for this in the future. I want to speak about The Golden Calf, and tell you that its end is very close. I want to tell you that it will all collapse and there will not remain any money or any coin that anyone can call money. The whole banking world will disappear for it is all built upon complete falsehood. Once upon a time a person was able to make a purchase with a gold coin or a silver coin or some item of value, but now we almost don’t see anything like this at all, just paper notes, credit cards and checks. All of a person’s wealth is registered in some computer in the bank, and even if he is a millionaire, all he has to show for it is some large house, fancy car, etc. plus all of his credit cards and some large number written on his bank statement. But one day soon it will all disappear, the computers will stop working and there won’t be any paper money left. Not only this, but the person himself will undergo a big “shock”, because he has a car that needs gas – but the credit cards won’t work, and he has a house that needs electricity – but this will also stop working. So then how is he a millionaire, with what? The whole world of finance will fall because Hashem wants it to fall. The people who set it up have a lot of desire for money, for power and for honor and they built up a dream world. But it is really a dream world because it only exists in your dreams. The whole banking system is one big giant falsehood, and those who are involved in it are so deep into this falsehood that they actually think it is legitimate. These deceivers are found in all different countries, including third world countries. They have all fashioned their own currencies, whether it be the Euro, the Dollar, the Sterling, it makes no difference what they call it, they are just pieces of paper that is printed at all times when they need more money. If the insurance agencies were found to have stolen too much money from their customers – no problem, just print more money to cover the deficit. And all the heads of state, the Parliament, the Congress, the Knesset, and anywhere else you may run to, they are all a part of this great big lie. And who suffers? The simple people, who are not part of this club. All the money will have the value of toilet paper, and this is no joke. When all the banks fall, the shock that will accompany it will be stronger than if a nuclear bomb would drop. For what would be if a nuclear bomb drops? A person would simply die. But when a person will enter into the reality that there is simply no money, no banks, no electricity, no doctors, no medical clinics, no markets – all the things that the person felt gave his life security – he will enter into complete shock. And what will a person like this do? He can easily loose his life, for he will not know what to do, how to live, who to go to for help… for he will not think of turning to Hashem! But we have said this time and time again, that the Jews who are genuinely trying to get closer to Hashem, they will be saved G-d willing and merit to see the days of Moshiach and have eternal life. Earlier this week I was very privileged to be present at a meeting between the Admor of Holmin – Rav Shalom Yehuda Gross and Rav Shalom Arush at the house of Rav Arush. I will now do my best to recall what was happened at that meeting. Rav Arush was very happy to greet Rav Gross and he kissed his hand when he entered. Then Rav Gross kissed Rav Arush’s hand and they sat down at the table. Rav Gross started to explain about his operation (Mifal Zohar Haolami) which is involved in printing and distributing Zohar Hakadosh all over Israel and the world. He said that only in the merit of studying the Zohar Hakadosh will we be redeemed from this exile in mercy as Rebbe Shimon promised us in the Zohar. He also said that the study of Zohar is able to cancell any harsh decrees upon the Jews. Rav Arush agreed about the importance of the study of Zohar. May the promise of Rebbe Shimon and Rebbe Nachman be fulfilled and may we merit a merciful redemption in the merit of the study of Zohar Hakadosh, Amen. I wanted to clarify a point that people often get confused, there is a big difference between the reading of Zohar and the study of Kabbala. Although the Zohar is the primary Kabbala text, when one reads it, one is in no danger of what is called delving too deep into the study of Kabbala. Although it is true that only fitting people should learn the Kabbala from fitting teachers, the study or reading of Zohar is quite the opposite. the words itself are able to spiritually arouse a person and have the ability to purify the soul even if one has no idea what he is reading and even if he is making many mistakes, it gives great pleasure to Hashem. Reading of Zohar is something that is fitting for men, women and even young children (heard from Rav Gross, and Rav Benayahu Shmueli, Rosh Yeshiva of Nahar Shalom and a close student of Rav Kaduri Z”L).